Now what is there to say, I was a little stiff before going and needed a boost as my morale for some reason was low. Suspect the few nights poor sleep didn’t help. I travelled with Jo and John who were running the half… lucky them ! also as it was a new course was intrigued on the loop and how challenging it would be. So busy at the start and weirdly the start of the 50k was tucked away from race HQ so I wasted 20 minutes trying to locate the line. John decided he didn’t feel well enough to run so we left Jo at the start of her race, wished her luck and trotted to the 50k start. This was the last race to be started and weirdly I didn’t have huge expectations but a little fearful I would be slower than last year. Small field but off we went at 10.28 and it wasn’t for a good few miles until I recognised some sections I enjoyed from last year, then I had the rhythm of the loop system. 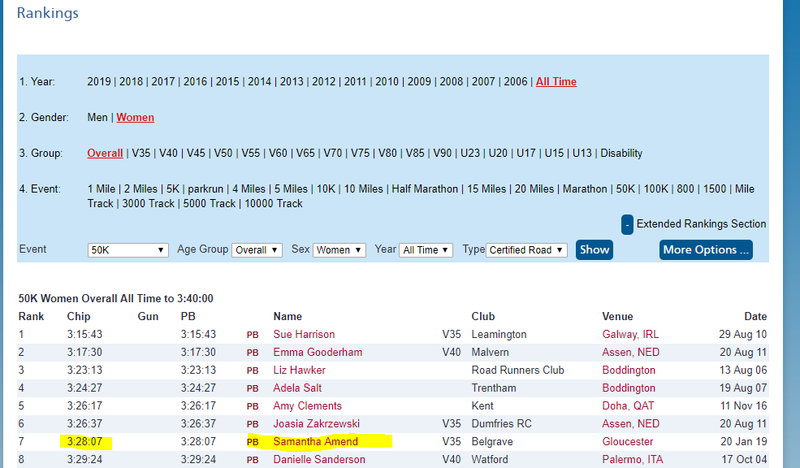 It took in part of the 10 miler, the 10k and then last years 50k. It wasn’t flat but it was less of a steep climb on some of the hills than last years. 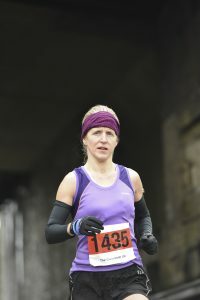 Frustratingly for me I was solo running as the field was small, lots of passing of marathon runners and the cold was making it a challenge. 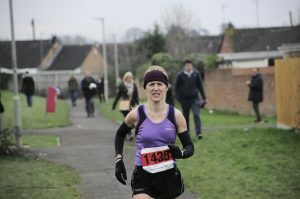 Gloucester 50k, Marathon & Half  20.1.19  www.beyondthelimitations.org.uk Sprint to the finish !